With the holidays in full swing, we figured it was time for a quick refresher course on one of our favorite ingredients: chocolate. Chocolate is one of the most versatile dessert ingredients - it can be luscious and sweet, brittle and bitter, highly aromatic and more. 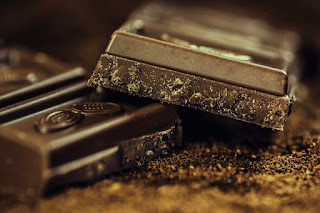 Because it comes in so many flavors and consistencies, we're going to talk about each type of chocolate and let you know when - and when not - to use them. 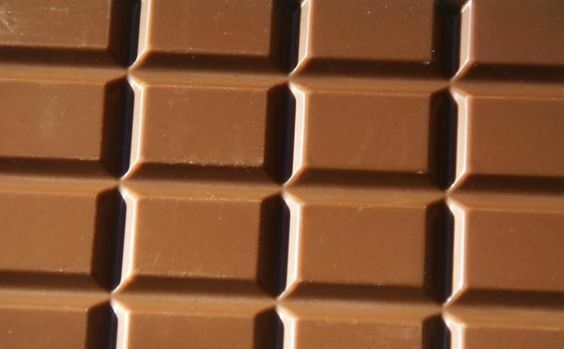 Milk chocolate is the most common type of chocolate found in your favorite candy bars. It's made through a combination of chocolate, cocoa butter, sugar, and condensed or powdered whole milk. First created in the 1800s in Switzerland, it has since gained prominence worldwide as THE GO TO candy ingredient for a savory, sweet and creamy chocolate flavor. Fun fact: the US has lower required amounts of chocolate liquor than in Europe hence their darker chocolate treats. Milk chocolate is a versatile ingredient. With a low melting point they're great for flavor-based additions in brownies and cakes, though not for structural components. They also work well as chocolate coatings for fruit similar to fondue. If you're looking for something to add a depth and sweetness then they'll have the right flavor profile. Bittersweet, semisweet and unsweetened chocolate are made from cacao beans, the plant that all chocolate comes from. While the seeds are white, once they're roasted, they turn a dark brown and the fat of the beans turns to liquid. The difference is simply how much of the sweetening agent (99% of the time it's sugar) you use. Obviously unsweetened chocolate means that there isn't any sugar. It will have a bitter, roasted taste, somewhat similar to that of coffee. The verdict is out about this. Generally, confectioners can use bittersweet and semisweet chocolate interchangeably as they're all in the 40 - 70% pure cacao range. To determine the bitterness of the chocolate, your best bet is to go by the percentage rating. Unsweetened chocolate is commonly referred to as baking chocolate, cooking chocolate or bitter chocolate and is used by confectioners and bakers over other types of chocolate - like milk chocolate - because it holds up well in the oven and you have more control over the amount of sugar in the recipe. Baker use unsweetened chocolate because so many of the recipes call for large amounts of sugar. Cocoa is the powdered version of the Cacao plant, of which all chocolate is derived. At this point, the two names are mostly interchangeable, however you'll often find that when people are talking about cocoa in the baking or confection world, they're referring to powdered cocoa. Once the Cacao beans are baked, the fats are rendered, and they are ground up, the result is cocoa. Most commonly found in the powdered form, cocoa has a wide range of use beyond toppings for your coffee or brownies. While is does serve as a great way to add a bitter depth to sweet desserts, lots of home cooks are adding powdered cocoa to breakfast smoothies, granola, and on top of fruit bowls. 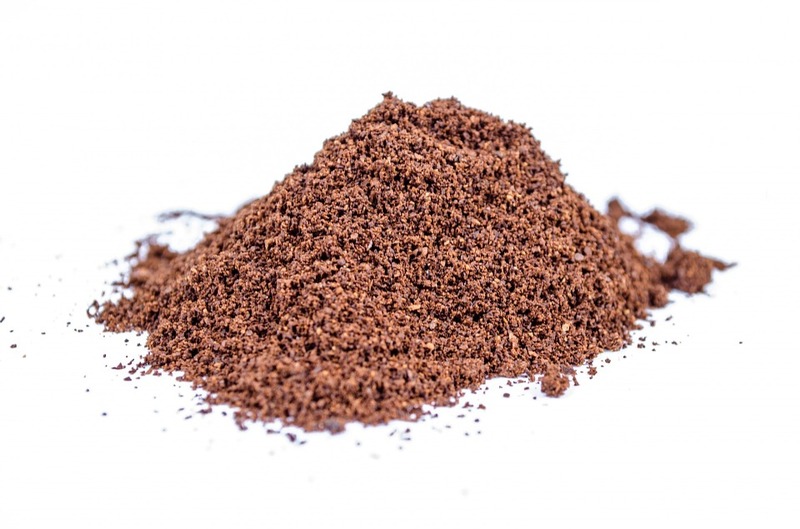 Take extra caution when shopping for your cocoa powder because the cheaper cocoa powder will have zero taste. Look for the fat content of the cocoa powder and opt for something in the 20 - 24% range for the good stuff. Mexican chocolate is a unique take on chocolate the adds cinnamon notes to established recipes. Similar to the various forms of regular chocolate (milk, unsweetened, semi-sweet, baking, powdered), Mexican chocolate can be found in and form you need. Notably, it has a richer, spicier flavor with notes of cinnamon and nutmeg. In some cases, you'll even find spicy chili hints in some Mexican chocolate. Because the Cacao plant was a major crop in Central America, the people of Mexico have developed their own unique take on it. For the most part, Mexican chocolate can be used interchangeably with its European and American counterpart, but keep in mind it will add a hint of cinnamon and spice. 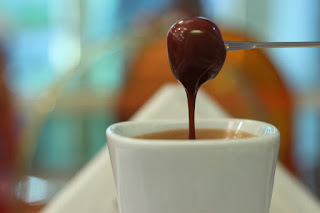 Notably, Mexican chocolate is very popular for use in hot chocolate. There's no real designation for what chocolate bark actually is. Some people use the term to refer to baking chocolate, others use it to refer specifically to a dessert where a thin layer of tempered chocolate is melted and poured into a baking sheet with various add-ins like nuts or other candy. We're including it here because it is so often used when referring to baking chocolate. Chocolate bark can be eaten on its own or it can be broken down and used as milk chocolate chips or saved for future use as a baking or melting chocolate. Dark chocolate is a real chocolate lover's chocolate. Most commonly, dark chocolate is made from the same ingredients as milk chocolate, but they have a higher concentration of pure cacao. 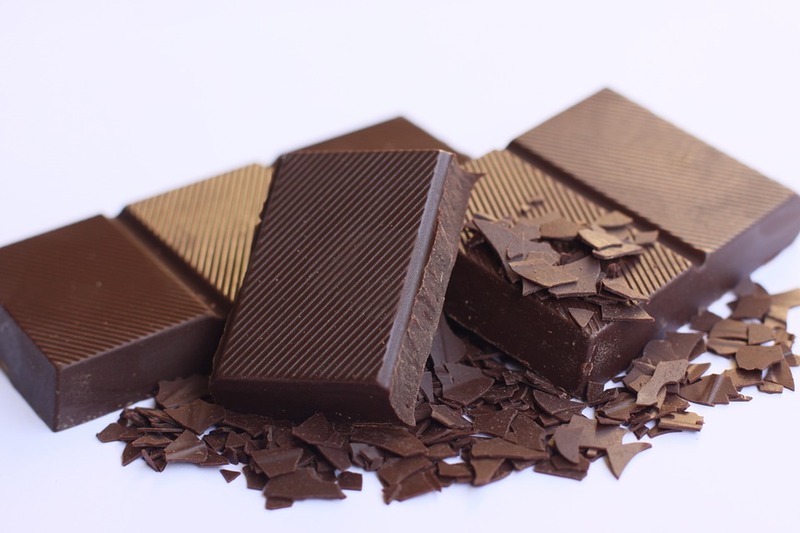 Dark chocolate is also considered bittersweet and semisweet chocolate and can be used accordingly in recipes that call for semi-sweet chocolate. You'll often find dark chocolate in your grocer's candy aisle with various percentage ratings attached, dictating how much pure cacao is in the bar. The higher the percentage, the darker the chocolate, the more bitter the flavor. More often than not, you're eating dark chocolate in bar form, sometimes with flavor additions like sea salt, almonds, or dried fruit. If you're cooking with recipe that calls for semi-sweet chocolate, you can also substitute dark chocolate for the semi-sweet. Contrary to what some people might say, white chocolate IS chocolate, however it contains 0 cacao. As part of the chocolate making process and by product is cocoa butter. 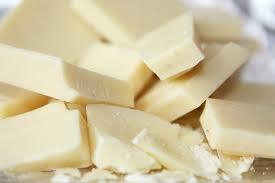 White chocolate is made purely out of cocoa butter by combining it with sugar, milk, and other flavors like vanilla. It also notably has lecithin, an emulsifier that helps keep it all together. Because it lacks any cocoa, the flavor profile of white chocolate has much more of a sweet, nutty flavor. White chocolate is used fairly commonly in most kitchens. It's easily interchangeable with milk chocolate and low percentage semi-sweet chocolates. Great for baking or turning into a sweet topping, white chocolate is a go-to substitute for those getting a little bit tired of everyday dark chocolate. Chocolate candy coating is a chocolate-based topping often used to for desserts like chocolate covered strawberries, eskimo pie bars, and more. 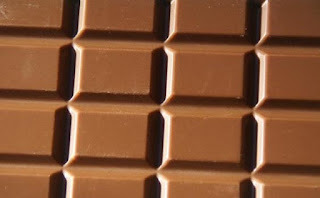 Instead of just melting chocolate, chocolate candy coating substitutes the cocoa butter portion of normal chocolate with another oil or shortening. 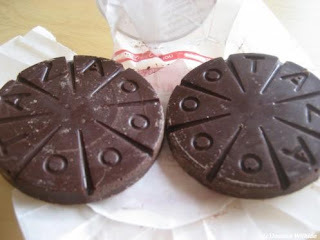 It typically comes in the form of small chocolate discs in a variety of colors. Chocolate candy coating is used most often in candy making as an exterior coating. It's great for things like cake pops, or ice cream pops, and chocolate covered pretzels. Got other questions about chocolate types? Get in touch with us on the Facebook page.